I like trying recipes and finding favorites that I make over and over again. And I almost always make some adjustments. I cannot help myself. I guess the only recipes I do not change too much are my mom’s recipes and a few other family recipes. Some recipes I change so much that I claim them as mine. I think that is fair, in the grand scheme of thing. I think now it is time to start making my own recipes. So I am going to start with a few things that I remember from childhood that I have not been able to quite get there. So research. Which was always my favorite part of my uni education. Research, at least to me, is fun. What do you expect from a historian? Research. Yep. I’m a total nerd that way, but it was always my favorite part, at least until I learned how to really write. A public school education, at least in my day, did not really teach you how to write. It was sad really. The one thing I learned working for my master’s degree was that I needed to learn how to write and understand the English language much better than a public school education had taught me. To bad it cost a crap-load of money to do that. I am still a word nerd, but I do not think that is a bad thing. It is kind of funny, I think if I had to do it over again, I would be (a Secret Service agent – no … really!) or a linguist (much more likely). Peanut Butter Fudge – can not quite help myself. My mom’s meatloaf – especially a meatloaf sandwich. Chicken and Rice – really simple, but slightly amazing. 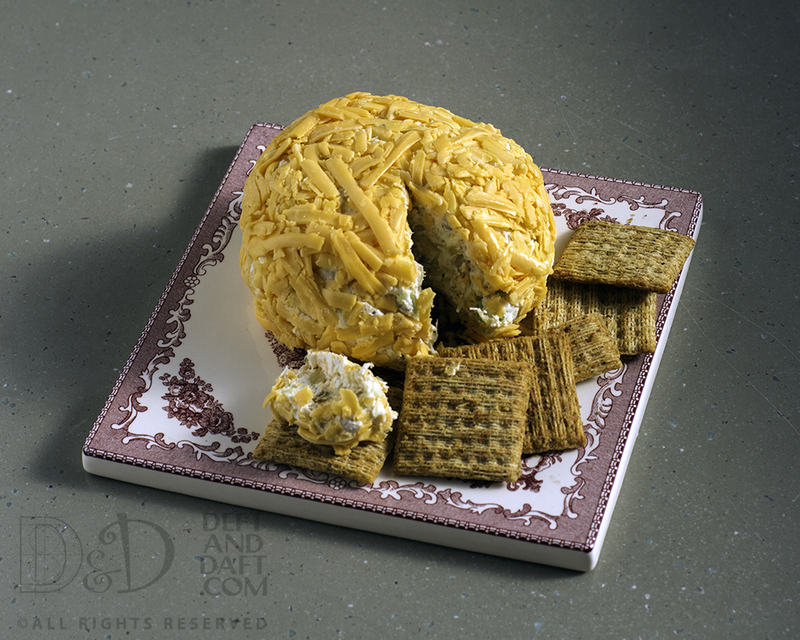 Cheese Crackers – did the Cracker Challenge a few years ago, but I feel like the only person that makes cheese crackers – is that possible? 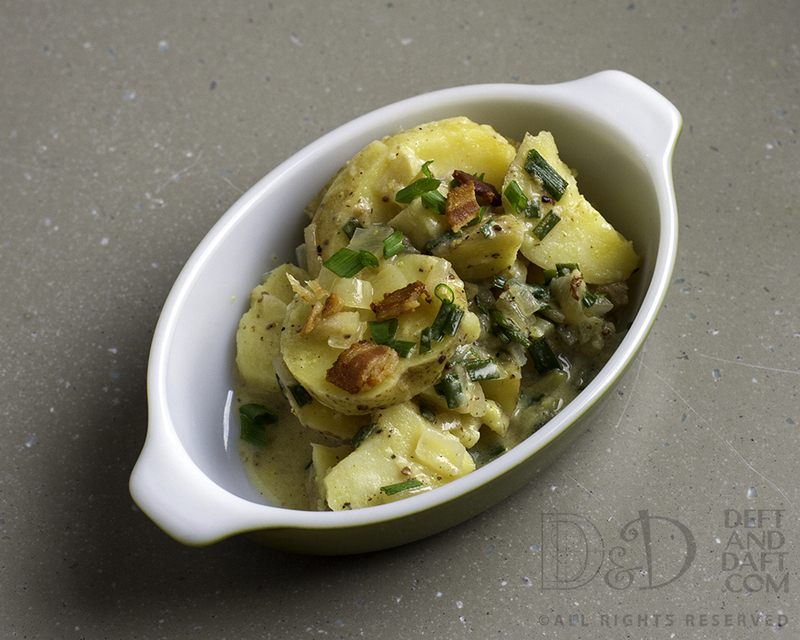 Potato Salad – been struggling with this all summer – and not to my satisfaction. Peach Cobbler – wow – this one is charged. I love my mom’s recipe, but I don’t really like the biscuits on top. How to fix that? The Boy gave me a Ghirardelli Chocolate Cookbook for my birthday this year, along with a bunch of Ghirardelli squares, which I take in small doses since I am not a huge chocolate person. That said, the recipes are really good and Ghirardelli is my go-to chocolate for cookies and anything else chocolate. The Boy marked a bunch of recipes in the book that he wants. I think this one is interesting since the chips can be a wide variety of chocolate: milk chocolate, semi-sweet chocolate, or bittersweet chocolate. I have never really like milk chocolate in cookies – kind of meh. It just does not work for me. I am a semi-sweet or bittersweet kind of chocolate girl. If I am a chocolate girl at all. Can you call yourself a girl when you are in your 40s? I can, because I still feel pretty much 26. Preheat oven to 375 degrees. Stir together flour, baking soda, and salt. In a large bowl, beat butter with both sugars at medium speed until creamy and lightened in color, about 4 minutes. Add the vanilla and eggs, one at a time, mixing on low until incorporated. Gradually blend the flour mixture into butter mixture. Stir in the chocolate chips and nuts. 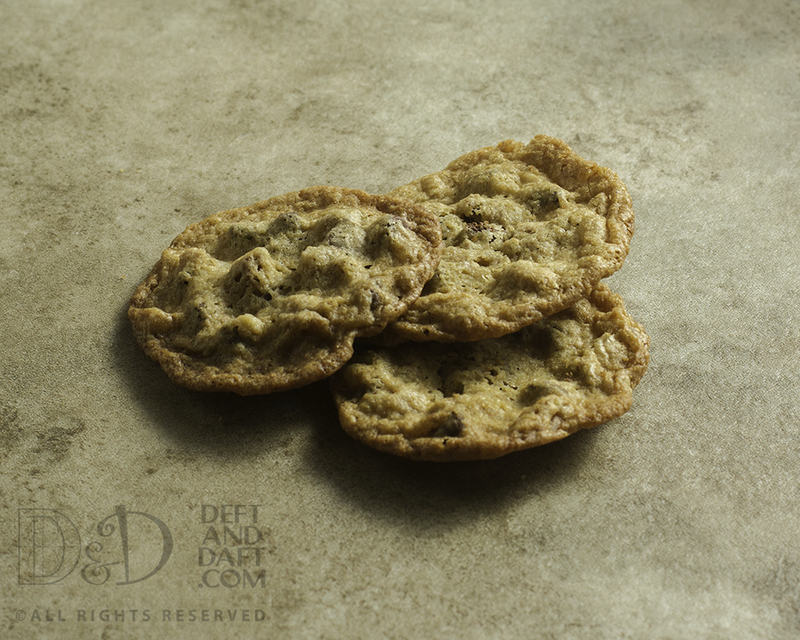 Drop by tablespoonful onto parchment lined baking sheets about 2 inches apart. Bake for 9 to 11 minutes, until the cookies are golden brown. Transfer the cookies to wire rack to cool. * milk chocolate, semi-sweet chocolate or bittersweet chocolate – your choice. These got a little thin, but that works if you like that kind of cookie. I think it was all the butter – seems a bit much. They were a hit with the Boy, and at the office, so that makes me feel better about them. I just think this is not my kind of chocolate chip cookies. Very glad the Boy really enjoyed it. Love this cookbook – even if I do not love chocolate. I will make anything he likes. Guess that is being a mom. 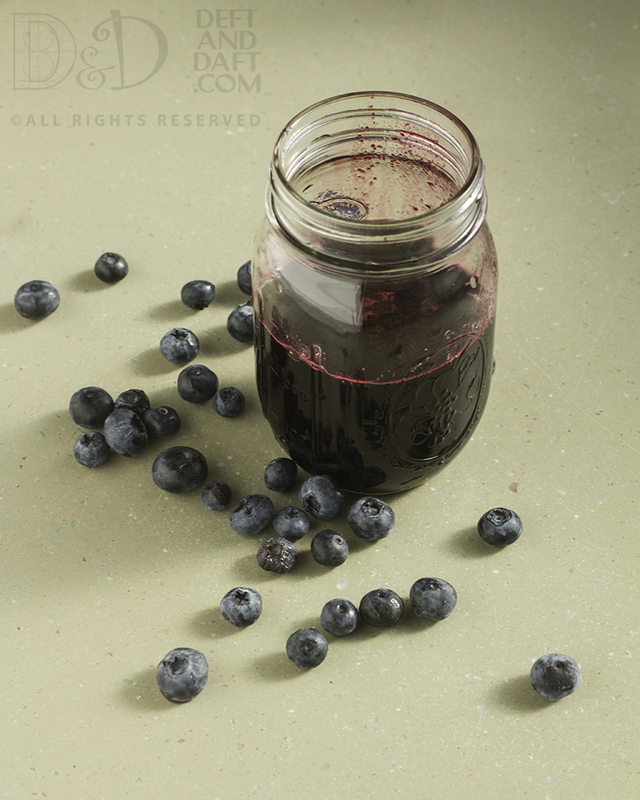 Blueberry Vinegar – yep blueberries at their best. It is our summer. Strain through a fine mesh strainer into a clean glass jar and refrigerate. Then figure out ways to use said vinegar. I have this habit of buying local produce from some farm stand or farmers’ market and then going, hm …. What the hell am I going to do with this? 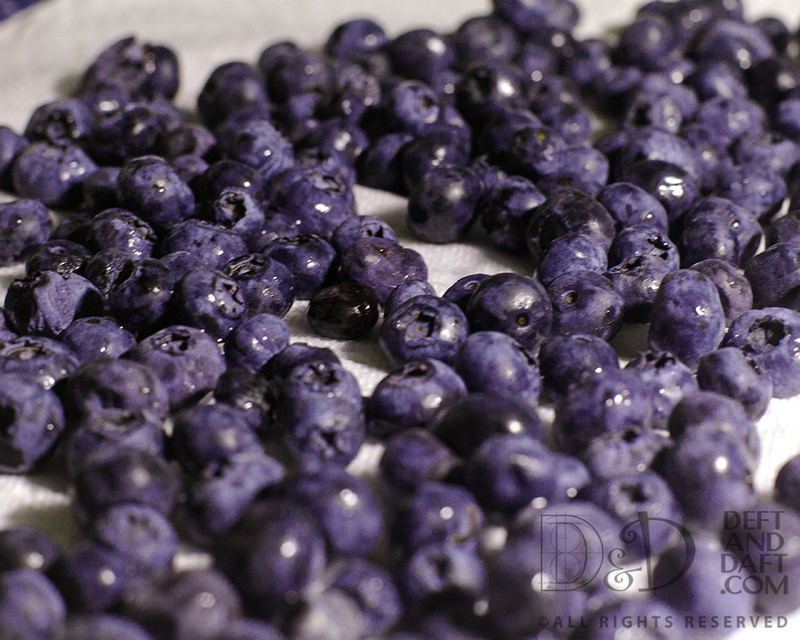 We have local blueberries all over the place right now, really beautiful, and cheap. I love supporting local growers and have toyed with growing blueberries myself, but my lovely next door neighbor has said, it is an exercise in feeding the birds. Totally get that. 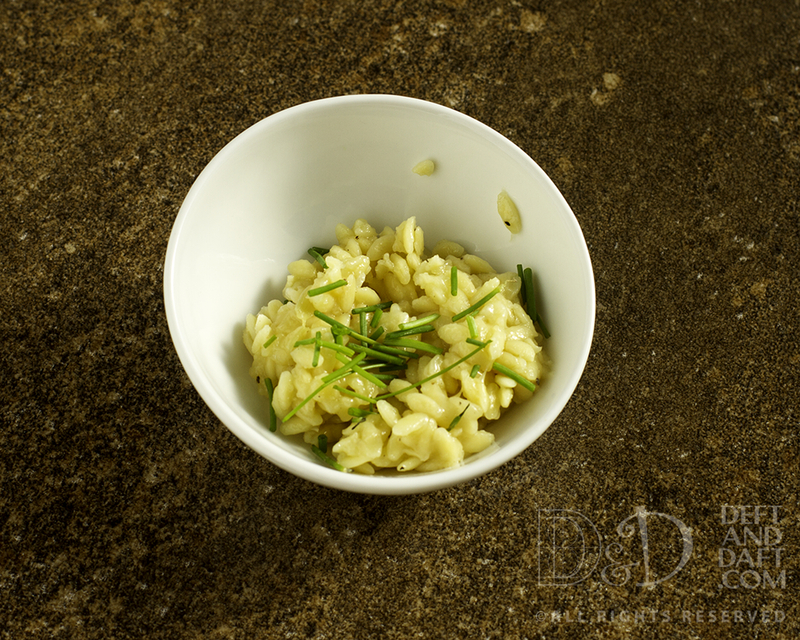 Add orzo to onion mixture and stir to coat with butter. Add in hot chicken stock, cover and remove from heat. Let stand 25 minutes without lifting the lid – this is serious – do not uncover. While waiting patiently, grate Gruyere. After time, check orzo and make sure liquid is absorbed. Add cheese and stir to melt. Season with salt and pepper.